Muons are penetrating particles generated by cosmic rays. Muon radiography – or muography – is the large-scale equivalent of using x-rays to generate images. Except, instead of using x-rays to take a closer look at your broken arm, we can use showers of muons to take a look inside large geological structures – we’re talking several kilometres in size here! When cosmic rays meet the atmosphere, they create showers of secondary particles, some of which reach Earth’s surface. These can either interact with matter in the atmosphere to create more particle showers, or the particles can decay. These extensive air showers form unstable particles known as mesons. The mesons decay rapidly to form muons, which have a much longer lifetime and, if they also have high energy, can travel long distances and penetrate rock. To get an idea of just how big these muon showers are, in the Earth’s atmosphere roughly 1000 muons them are generated per meter squared every second! What can we do with so many muons?! The atmosphere of Mars (credit: PD-US). They can provide a great a measure of density. The angles at which muons arrive at a detector, and their number, can be used to pin down the properties of the matter they have travelled through. This technique has been used to reliably image and create 3D models of the interior of volcanoes, making clear the distinction between rocks of different temperatures, water, and voids beneath the surface. So what if we could do this for geological structures much further away? Muon showers are naturally occurring and since the cosmic rays that generate them are ubiquitous, muons can be created in the atmosphere of any planet. Indeed, recent research published in Geoscientific Instrumentation, Methods and Data Systems shows that we could use this technique to take a closer look at some of the subsurface geology on Mars! 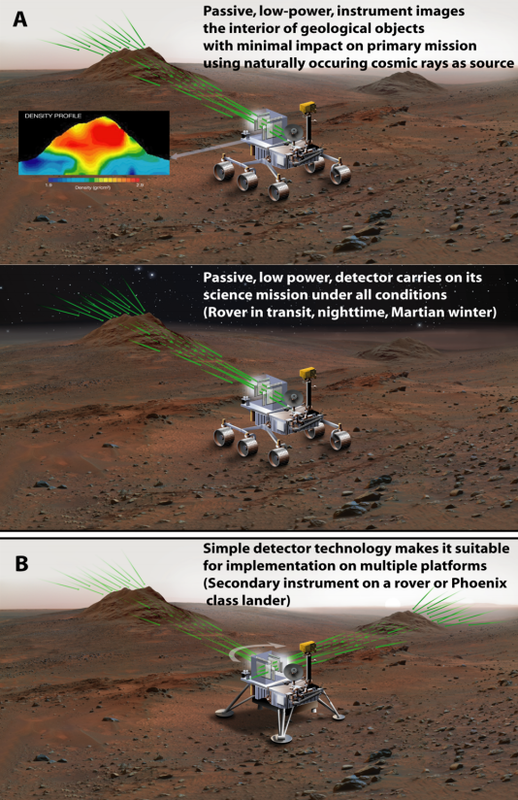 Preliminary estimates of muon production on Mars suggest that the horizontal flux of muons is as strong as, or even stronger than, on Earth, allowing for high resolution imaging of the planet’s geological features. How it would work (credit: Kedar et al., 2013). There are other benefits too: muon detectors have much lower power requirements than other imaging technologies as they use background radiation, rather than emitting a signal (as in seismic imaging or ground penetrating radar). Because the detectors can be quite simple, the data files they produce are small, allowing information to be easily transmitted back to Earth. In addition, high energy muons can easily pass through hundreds of metres of rock – great potential for somewhere we know so little about! What could we take a look at? 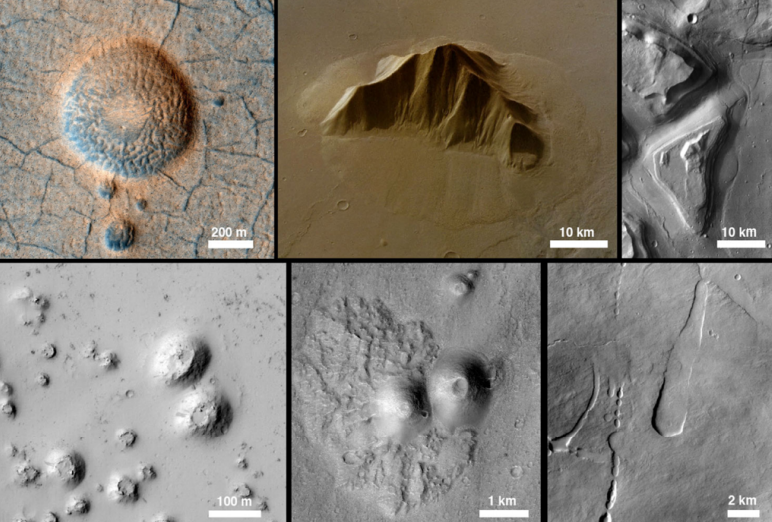 Just a few spots on Mars, where muography could tell us a whole lot more about the local geology (credit: Kedar et al., 2013). 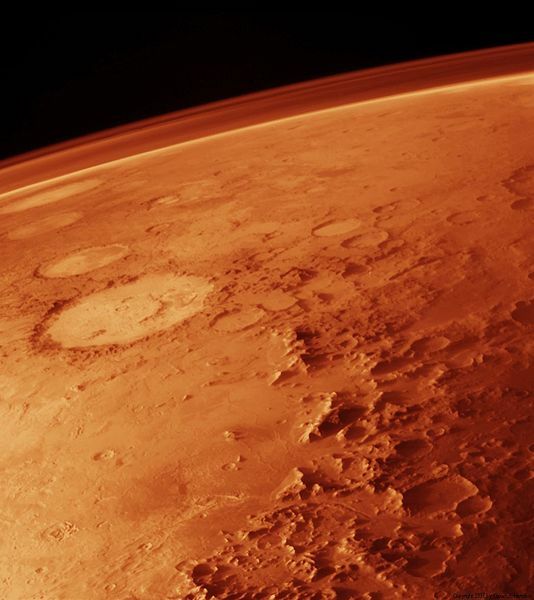 Kedar, S., Tanaka, H. K. M., Naudet, C. J., Jones, C. E., Plaut, J. P., and Webb, F. H.: Muon radiography for exploration of Mars geology, Geosci. Instrum. Method. Data Syst., 2, 157-164, 2013. Tanaka, H. K. M., T. Uchida, M. Tanaka, M. Takeo, J. Oikawa, T. Ohminato, Y. Aoki, E. Koyama, and H. Tsuji (2009): Detecting a mass change inside a volcano by cosmic-ray muon radiography (muography): First results from measurements at Asama volcano, Japan, Geophys. Res. Lett., 36, 2009.